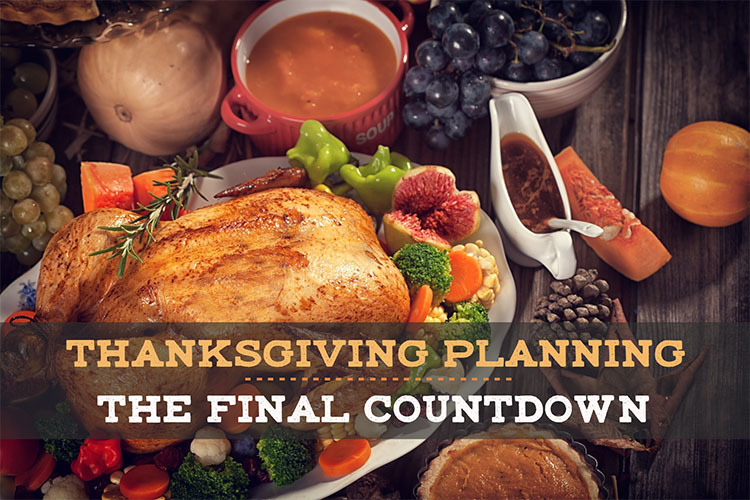 Home / Thanksgiving / Thanksgiving- When Planning and Checking Lists Are the Key to Success! Thanksgiving- When Planning and Checking Lists Are the Key to Success! 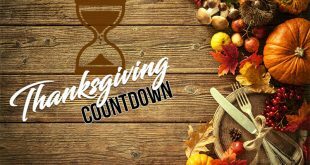 Planning ahead for Thanksgiving dinner is one key for success and this is one chapter in your life where you really need to be meticulous about it. It’s not only about the things you need for all that cooking, baking or decorating, but also about how much time you’re going to need for each and every single thing you’re going to have to do for the famous celebration. What other tips you can try for saving more time? If you’re going to have some guests over, this is the right time to let them know too. If you’re going to wait for RSVP, you need to seal the deal with some calls or emails. Don’t forget to check if anyone is dealing with dietary restrictions or food allergies as you want to feed them as well. Once it’s all clear how many people are going to enjoy your Thanksgiving dinner, you need to check if you have enough place settings. If you’re not going to have a big Thanksgiving dinner but still want to give it a festive vibe, you should take a look at the Gibson Elite Tequesta 16-Piece Square Dinnerware Set. 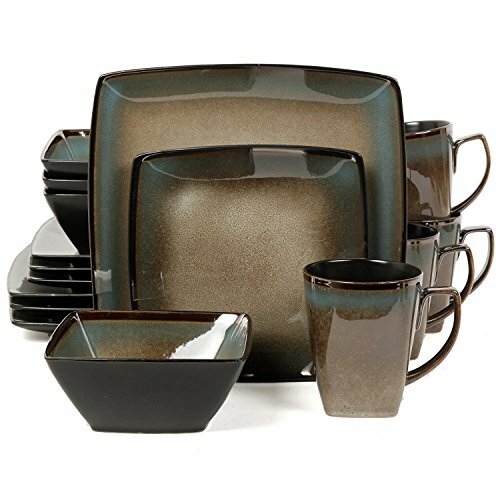 The set comes in elegant and strong colors that are going to help you create that special feel for the Thanksgiving dinner. It includes 4-piece dinner plate, 4-piece dessert place, 4 mug and 4-piece bowl. It’s dishwasher and microwave safe and comes in an impressive reactive Taupe glaze. For those of you who are just trying to prepare for plan B, the Thanksgiving Turkey Tableware – 24 Pack is going to be a solid choice. 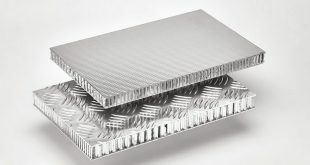 The pack includes 24 large dinner plates and 24 small desert plates. It also contains 3 plastic table covers and 32 guest towel napkins. 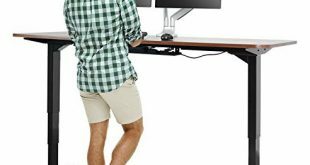 It sure looks nice on any table and it’s going to be a great solution when you don’t have the time nor the skill so work on something more personal. You should also use some brand new and elegant glasses. Not only that the Drinking Glasses Tumblers Cups 4 Pack are going to save the day, but they’re also going to give the Thanksgiving table a luxurious and fall sparkle. 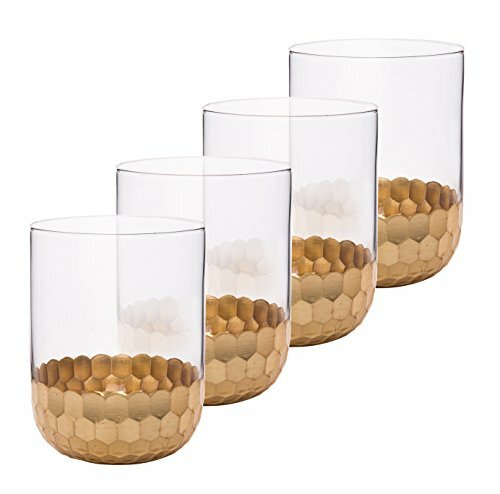 The stemless designs prevent spills and tipping and the glasses are made of hard and clear glass that doesn’t chip easy. For the ones that are trying to give the Thanksgiving dinner a cheerful vibe, some decorations for the glasses are going to be a great and easy way to do it. 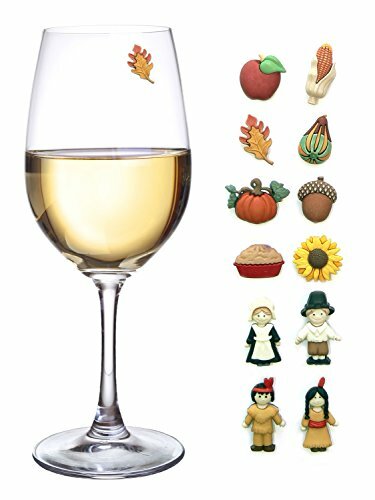 The Thanksgiving Magnetic Wine Glass Charms Set of 12 Perfect Drink Markers for Stemless Glasses are the perfect little charms to decorate your wine glasses. They work on both glasses and acrylics, champagne flutes, stemless wine glasses, beer mugs and martini glasses as well. You may decorate the glasses before your guests arrive or let them choose their own. The charms are great as nobody is going to use the wrong glass. The magnets don’t have an influence on the taste of your beverages and they’re really easy to use. It’s about time to create the menu for the Thanksgiving dinner. You may get creative or stick to the old recipes- the options are so many. Depending on the number of guests, you may/not may have to bring it some reinforcements. It’s better to order the fresh turkey or buy a frozen one, placing it in the freezer for 2 weeks. As for the size, you should add 1 pound per person for a whole turkey. If you’re not going to get a whole bird, ¾ pounds per person for bone-in turkey breasts should do it. Don’t forget to shop the non-perishable ingredients. Canned pumpkin, flour, canned cranberries, cornbread mixes are ok to buy now. You need to make sure that the table is almost ready. Make sure you got the napkins and the tablecloth you like for Thanksgiving dinner. Polish up the silverware or get a new one if you like. 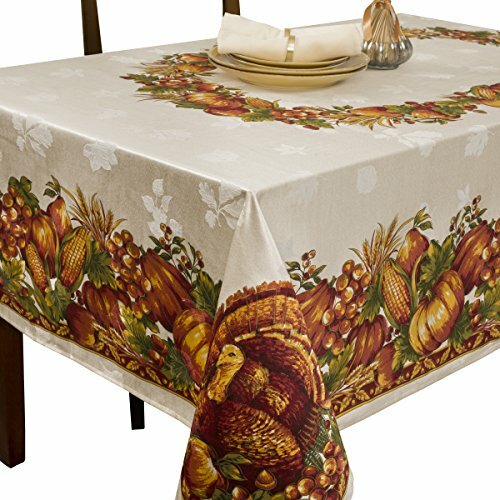 The Benson Mills Harvest Splendor Engineered Printed Fabric Tablecloth is going to look warm and nice on any table. It’s made with cotton that takes both the long time use and it’s easy to take care of. 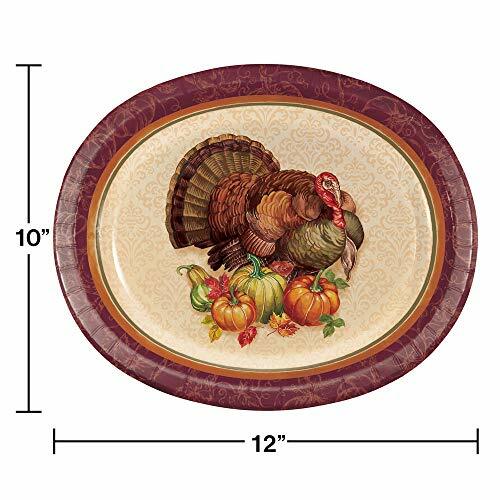 It features Thanksgiving designs which is going to help you create the Thanksgiving décor that you’re looking for. The colors are bright and the picture is really nice. You can complete the printed tablecloth with some pretty napkins. 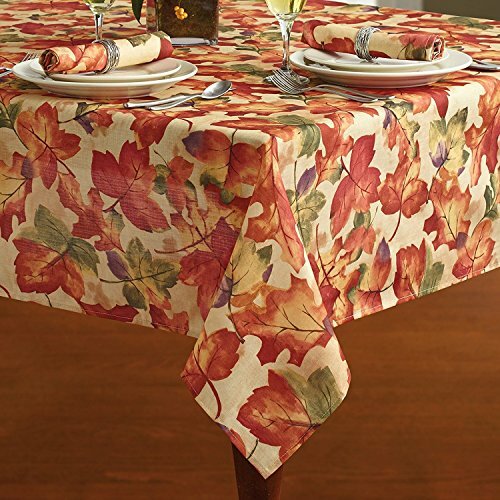 The Harvest Leaf Festival Autumn and Thanksgiving Fabric Print Napkin Set is a great choice. The napkins are made of 100% polyester and don’t stain easy. They’re very easy to take care of as they’re machine washable and tumble dry, requiring little to no ironing. If you’re going with some plain napkins, but want to give them a Thanksgiving appearance, use some cheerful and festive napkin rings. 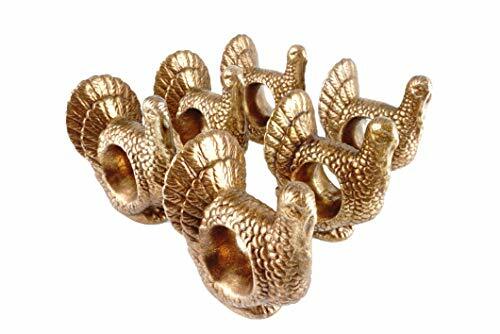 The Party Explosions Thanksgiving Turkey Copper-Colored Clay Napkin Rings includes 6 Thanksgiving napkin rings that are made of clay and so lovely painted. They are copper colored and have a metallic and textured finish. The Lenox Portola Stainless Steel 65-piece Flatware Set is made with 18/10 stainless steel so it’s ready to take out a beat. It includes twelve 5-piece place settings and one 5-piece hostess set. Each place setting contains 1 dinner knife, 1 dinner fork, 1 soup spoon, 1 teaspoon and 1 salad fork. The hostess set (that is you) includes 1 butter serving knife, 1 sugar spoon, 1 butter serving knife, 1 tablespoon, 1 cold meat fork and 1 pierced tablespoon. The set is tarnish-resistant and you can safely clean it in the dishwasher. Get together all the utensils, carving knife, platters and anything that is going to make the serving a lot more special. Don’t forget to get the turkey out of the freezer. 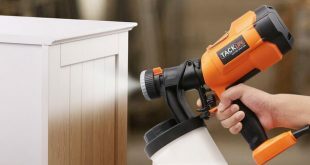 It’s better that you have it ready one day before than not having enough time to de-frost it. You should invest into a durable and reliable carving knife like the Victorinox 12 Inch Fibrox Pro Slicing Knife with Granton Blade. 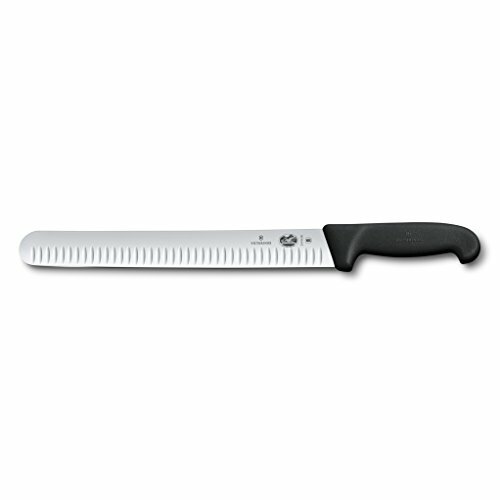 The long and narrow shape, featuring a razor sharp edge ensure impressive cutting performance when slicing the turkey. The food isn’t going to stick to the blade and the friction is going to be minimal, so that it’s easier to use it. The material and workmanship are astonishing and you shouldn’t sit on the fence when buying. Have a family meeting and decide the chores for each member of your family. 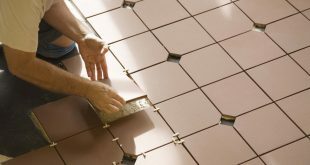 You shouldn’t forget about any room in your house as you want the whole house prepared for Thanksgiving. Now it’s time to get the perishable ingredients (fresh herbs and anything else). Don’t forget the shopping list at home. Are you ready for some cooking? You should start baking the pie crusts or thaw the frozen pie crusts. You may spare some time and bake the pumpkin and custard pies now as they’re going to stay fresh in the fridge until Thanksgiving (it’s not the case for the pecan or fruit pies as they’re not great for keeping for several days). You can also bake the dinner rolls and the bread and anything that is going to handle a couple of days in the fridge. salad dressings, soups, dips, cranberry sauce- scratch them from the list now. Another thing that you can do is to put together the casserole dishes, storing the green bean casserole, sweet potato casserole and the oven-baked dressing/stuffing. You’re going to bake them later on. You should start setting the table with the placemats, plates and everything you want for decoration. 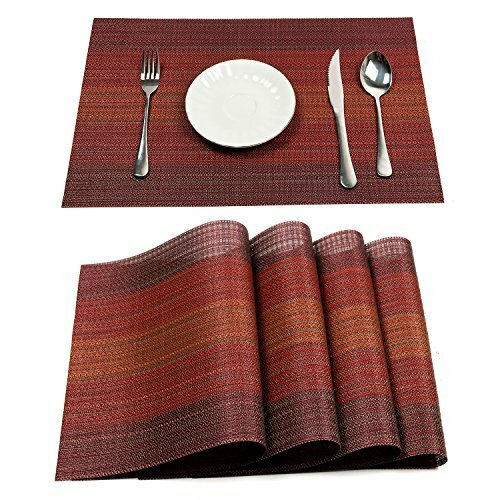 If you want to get some new placemats that are going to look elegant on your table, the PAUWER Placemats Set of 6 Heat Insulation Stain Resistant Placemat are just the right choice. The placemats are made of woven vinyl and are going to take the use for quite some time. They don’t stain and don’t lsoe their color and you may easily wipe them clean. They dry really fast and keep their shape for a long time. They come in various colors and each of them is hand cut, for a more attractive appearance. you should also finish the baking, pecan and fruit pies including. Don’t forget to pick up your fresh turkey from the butcher. Print a cooking schedule for the big day and be meticulous. 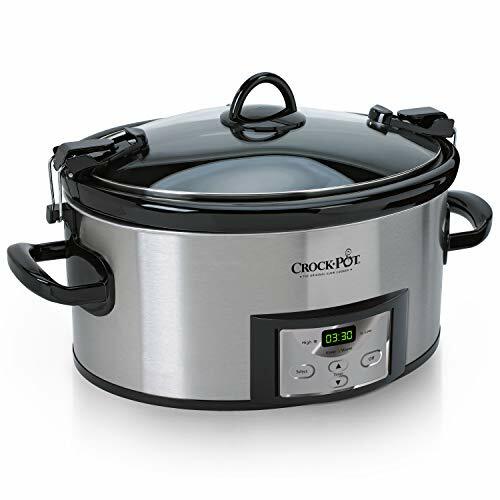 Some foods are going to need to be cooked in an Instant pot, whereas you may need a slow cooker for others. Don’t have slow cooker just yet? Now it’s the perfect time to give it a go with the Crock-Pot 6-Quart Programmable Cook & Carry Slow Cooker with Digital Timer, Stainless Steel. The pot is going to let you program cook times (from 30 minutes up to 20 hours. This is quite some planning!). it comes with digital countdown and user-friendly locking lid and lid gasket for better seal. It also includes an oval stoneware that is easy to remove and you may even use it in the microwave. Today is the big day and you should make sure that everything is going to go according to the plan. You should start early with preparing the stuffing in the morning. Prepare the turkey and put it in the oven. Don’t forget to get yourself ready for dinner too! Once the turkey is done, you should wait for an hour before serving it. Complete the baking and heat the side dishes (rolls, stuffing, mashed potatoes, casseroles). Prepare the gravy and serve the dinner. Grab your plate and enjoy your Thanksgiving dinner. You’ve put so much effort into it! You’re going to need plenty of food in your fridge, but you should definitely get rid of anything that is expired, smells bad or can be stored elsewhere. You’re going to need all the space in your fridge. We all have to admit that we’re cooking and baking a lot more than we need so we’re going to have plenty of leftovers. Get the disposable containers that are going to help you and don’t forget to label everything. 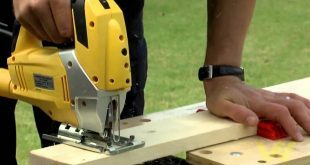 Don’t hesitate to try DIY projects especially when they’re going to save you some time later on. Make time to design the place cards or some food labels when you’re going to go with a buffet-style for your Thanksgiving dinner. Spice up the conversation with some Thanksgiving-themed conversation cards so that everyone gets in the mood for the holiday. 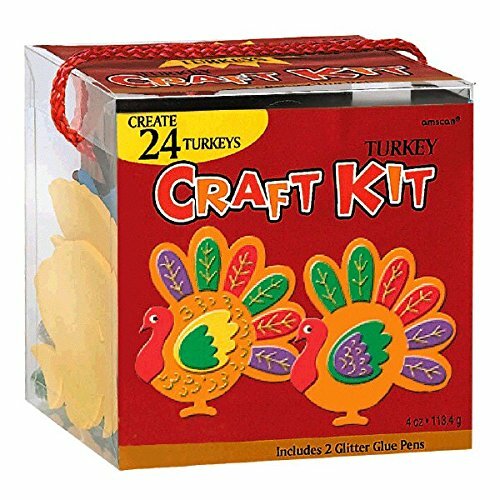 Get your little ones involved into the preparations with this Thanksgiving Party Turkey Craft Kit. The kit includes 264 craft pieces that are going to help make 24 turkeys. The pieces are made of foam and the two glitter glue pens included are going to be great for decorating the big birds. It’s a great kit that all kids are going to enjoy using. A fun way to get everyone in a playful mood is to use a photo booth. You can go ahead and prepare everything with the Happy Thanksgiving Photo Booth Props for Fall Party Supplies. 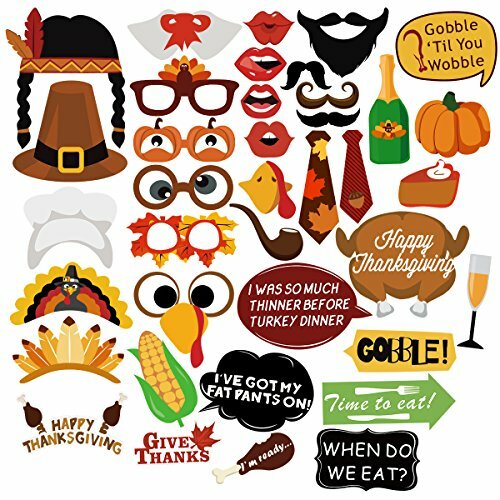 The set includes various Thanksgiving themed photo booth cutouts: turkey mouth, chicken legs, beard, napkin cloth, the Indians, pies, corns and so on. You get almost 40 cutouts and props that are easy to use and take the use for more than just one year. No, you’re not going to remember it. There are way too many things to remember and to do so it’s easier to write down every single thing that you’re going to need. Don’t forget about the linens, utensils or every other item that is going to help you not mess up the Thanksgiving dinner. If you’re not going with something new, don’t forget to wash the tablecloth or the napkins. Make time for the ironing as well. A good playlist is going to be able to put everyone in a good mood. Listening to some music can revive or kill the atmosphere. Take time and include only the best tunes for the holidays. Thanksgiving cannot be prepared one day before. You should start the preparation as we speak as last thing you want is to be ready to serve the tasty turkey only to realize that your curving knife is all done and broke.